The new Workplace Health and Safety laws now require all businesses to have First Aid trained staff. 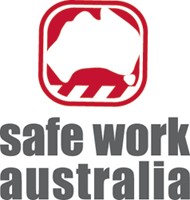 Don’t wait for that inevitable accident to happen and for WorkCover to come knocking on your door, to recognise your First Aid training obligations. It shouldn’t also take your workplace accident being tomorrow’s news headline for you to realise that you should have your staff trained in First Aid. Our nationally recognised First Aid courses meet all of NSW WorkCover and Safe Work Australia standards and can help you meet your business’s First Aid training obligations. Are Your Ready For An Emergency? 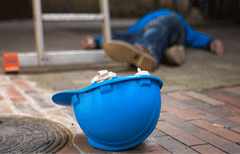 Would your staff know what to do if someone in your workplace suddenly became injured or ill? What if someone collapsed and stopped breathing? What if your staff didn’t know what to do? Our practical and comprehensive First Aid training can really prepare your staff for such situations. Our First Aid training can enable your staff to be ready, to act competently and confidently, in dealing any medical emergency at your workplace. This can really provide true peace of mind to your business. We know how hard it is sometimes for businesses to schedule workplace training. The disruption and disturbance can be not only annoying but can really affect your business. The result can be lost sales, incurred costs and lost profit. With our First Aid training you can organise a course with us that completely meets your needs and your work schedule. We provide you with the complete choice of training date, time and location. We can come to you and deliver training on-site or alternatively, we can deliver the training off-site at one of our centrally located training venues. This means you can get your training completed and your staff get on with the more important things at your business. Some training providers can make it really hard to train with them. They miss your calls, they don’t respond to emails and sometimes the trainer they organise, doesn’t even show up! It can be a real hassle and there can be a lot of stress and even worry. 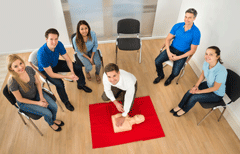 With our First Aid training, we really make the process for you easy and trouble free. From start to finish, the booking and running of our First Aid courses is smooth, seamless and stress-free. Save the hassle and the worry of the other guys, and let us deliver your next First Aid training.